This book takes a personal look inside some of the biggest moments of Miami’s greatest players as The U” morphed from a football program nearly disbanded in the 1970s to a national power. Three-time All-American and Pro Football Hall of Fame inductee Ted the Mad Stork” Hendricks shares his thoughts on single-handedly dominating the LSU Tigers in 1967. Current Georgia head coach Mark Richt recalls getting pelted with oranges in Gainesville in 1980, then taking over for an injured Jim Kelly and leading the Canes to a 21-20 win over the Gators in 1981. Alonzo Highsmith remembers all four of his touchdowns in Miami’s first victory at Notre Dame in 1984, where he wanted to jump out of the stadium . . . and run over that leprechaun. Vinny Testaverde recounts the antics of Melvin Bratton and Alonzo Highsmith, who prank-called Brian Bosworth the morning before No. 1 Oklahoma invaded the Orange Bowl to take on the No. 2 ’Canes, where Testaverde threw four touchdown passes in a 28-16 Heisman-clinching win. Gino Torretta describes the shot that knocked the wind out of him as he delivered the game-winning touchdown pass to Lamar Thomas in Miami’s 19-16 Wide Right II” victory. 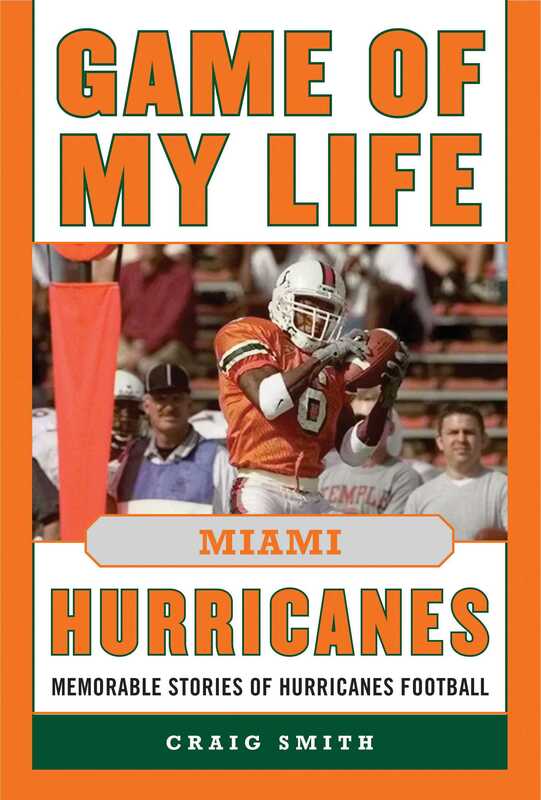 There are many more unforgettable moments in Game of My Life Miami Hurricanes that span different eras of Miami football, including conversations with former All-American Eric Winston, Super Bowl champion Jonathan Vilma, All-American wideout Santana Moss, and record-setting kicker Carlos Huerta. All share close and personal details of what they were thinking and feeling in the best games of their careers.